This year sees the 160th anniversary of the birth of Sophia Morrison in Peel on 24th May 1859. To mark that anniversary, the Manx Branch of the Celtic Congress is holding a Manx Gaelic original short-story competition for Aundyr Sophia Morrison, the Sophia Morrison Award. The competition is for an original short-story in Manx Gaelic on any subject, with a minimum of 600 words and a maximum of 1,000 words. This is an open competition for any age of Manx writer. There is no entry fee or limit on the number of stories which may be submitted by any one author. There is a £100 cash prize for the winning entry. Entries should be submitted by 1st May 2019, and the winner will be announced on 24th May at ‘A Manks Concert for Sophia Morrison’ at the Centenary Centre in Peel. The concert is being organized by the Manx Branch of the Celtic Congress. Sophia Morrison had already established Manx Gaelic classes in Peel by the time she became a founder member and later Secretary of The Manx Language Society (Yn Cheshaght Ghailckagh). She was an important figure at the centre of Manx and pan-Celtic cultural activity. She collected and published Manx folklore of all kinds – stories, songs, sayings – and shared information about it with a wide range of academics and other interested parties. 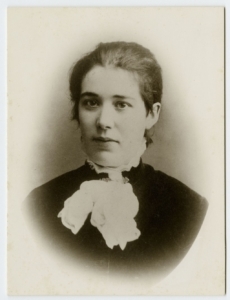 She was enthusiastically involved in the pan-Celtic movement which crystallized as the Celtic Congress in 1917 – unfortunately, some months after her own untimely death in January of that year.